The Moms of Master Books invite you to discuss Ken Ham's book, Already Gone - why your kids will quit church & what you can do to stop it. Be sure to read my review about Already Gone! Come join the party over at Master Books Facebook page on October 2nd at 9 pm EST! Master Books will give away copies of the book, other new Creation inspired education resources for families and gift certificates. More details about the party can be read on the NLPG Blog or on the Facebook Event Page (where you can also RSVP). So whats the Bite all about! Well Bite is all about great recipes worth sharing because the food is always "Already Gone" before you get a chance to have a Bite! 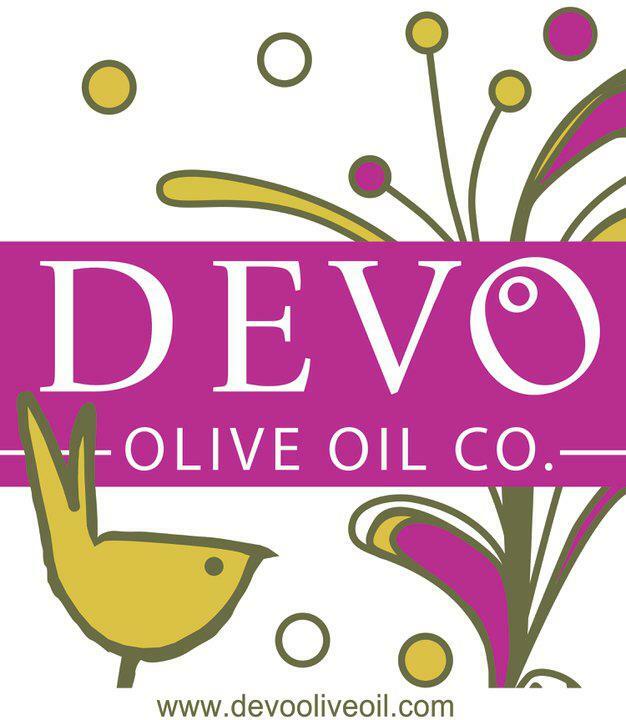 Special thanks to Devo Olive Oil who is sponsoring the Book and a Bite party. They have a special prize to give away and a special offer for all who attend! Devo Olive Oil was kind enough to provide me with a small bottle of the Blood Orange Oil. Now I am not a big oil user and don't really cook fancy meals much, so I had no clue what to use it for. But I decided to try to make some French Toast with it. The kids loved them and ate the entire batch (which was about 12 pieces) in one sitting for lunch . What can I say my 5 and 6 yr old have HUGE appetites. 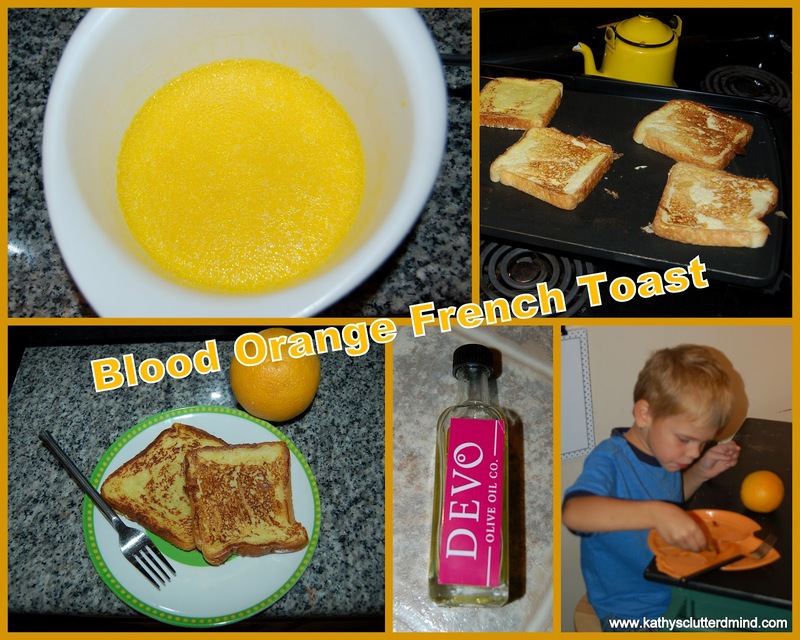 The French Toast was quite delicious and you could taste the amazing orange flavor from the oil. No syrup needed on this French Toast! The Blood Orange EVOO can be substituted for other oils and used in a brownie or chocolate cake recipe....yum!!! It's also great to use it on fish and seafood, chicken, duck, summer salads, and grilled stone fruits. Delicious in chocolate desserts and olive oil gellato as well. 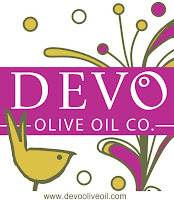 Be sure to also follow Devo Olive Oil on Facebook and Twitter. -Break eggs into a bowl; beat lightly with a fork. -Preheat griddle or skillet to medium-low heat. -Place the bread slices, one at a time, into the bowl or plate, letting slices soak up egg mixture for a few seconds. Carefully turn to coat the other side. -Transfer bread slices to griddle or skillet, heating slowly until bottom is golden brown.Turn and brown the other side. Please take a moment to link up your favorite recipes! Now be sure to invite all your friends to the party! *Disclaimer - I received a copy of Already Gone and a small bottle of Devo Oil in return for this post. I was not compensated for my reviews and all opinions are our own! Many of the links found on my side bars and in my blog posts are affiliate links. As a result, I might get paid money and I will most likely spend the money on homeschool supplies. Love the post! I added a link to a recipe I LOVE! Chicken Shawarma. adding our latest kids in the kitchen post!